I love Bath. It’s a lovely clean, up market town and it just looks so different from anywhere else. Since we’d arrived so late yesterday, we came back into town this morning for a second look around. 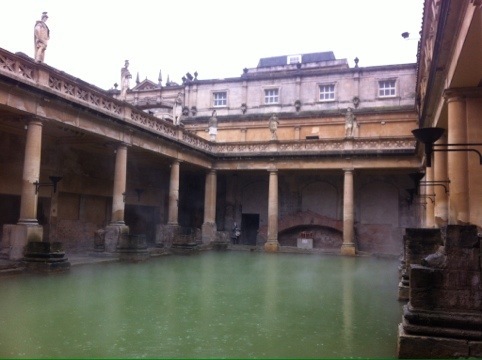 The Roman Baths were stunning, as usual. There was more archeology uncovered since last time I was there. It’s cool that the site is a work in progress – there’s always something new to discover. After the baths we popped in to the Pump House (a Georgian tea rooms, very posh) for an underwhelming coffee, and then went to the nearby Apple Store, just because we could. I got an adorable little charm for my Pandora bracelet, and then we headed out of Dodge – to Shrewsbury via Chepstow. 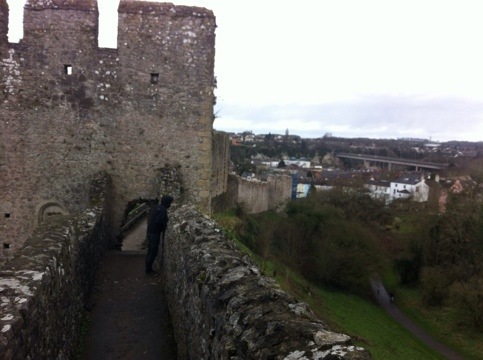 Chepstow (in South Wales) exceeded my expectations. The 12th century Norman castle was amazing. It has a huge castle complex, and although a ruin, is really well presented. 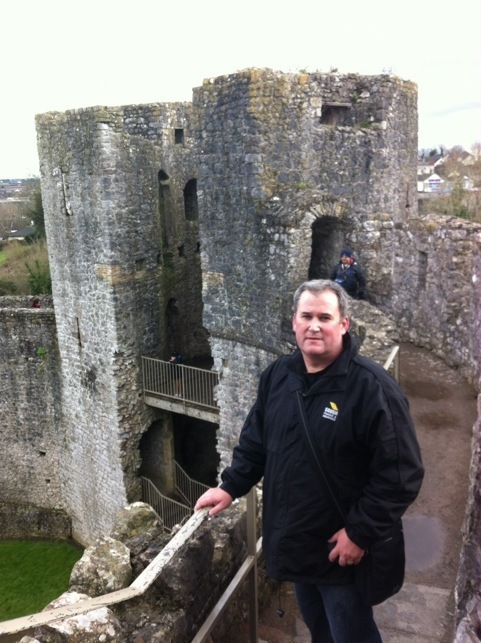 We were able to roam all over the buildings, going up and down towers, along the ramparts, through all the rooms. Totally awesome, we were like kids in a castle-store. Stepping out of the castle after a good hour and a half, we found a cute little pub for lunch, a lovely hot meal after a bitterly cold morning. It had been raining and started hailing just as we finished at the castle. Luckily the sleet didn’t start until we were in the cosy warmth of our car. We drove back into England for our next stop – Ludlow. We arrived much too late to visit the castle and it was seriously cold, so we’d ditched for today and decided we’d have another look tomorrow. 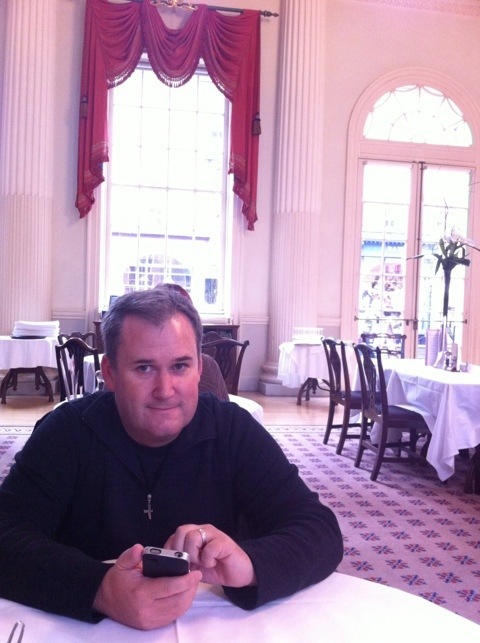 Our hotel in Shrewsbury is comfy, cosy and well appointed (and by that I mean free wifi).